Judy Ann Beers, age 65, of Washington, MO, passed away Friday, January 18, 2019 at Mercy Hospital in Washington, MO. Judy Ann was born December 23, 1953 in St. Louis, MO, the daughter of Leon and Frances (Gilliam) Beers. 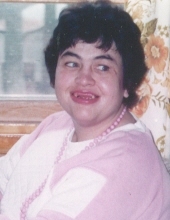 She was born with many health challenges and disabilities and lived most of her life in nearby Emmaus Homes. Judy loved the housemates that she was blessed to share life with. They brought her true joy. She also enjoyed listening to music. Judy is survived by her mother, Frances Alvena Halmich of Stanton, MO; two brothers, Thomas Beers of Stanton and Ronald Beers (and his wife, Robyn) of Foristell, MO; a sister, Brenda Thomas (and her husband, Steve) of Stanton; and numerous nieces, nephews, and other relatives & friends. She was preceded in death by her father, Leon Beers; and her step-dad, Clifford Halmich. Funeral services will be conducted at 1:00 PM, Tuesday, January 22, 2019 at the First Baptist Church in Stanton, with Pastor Jerry Beers officiating. Burial will follow in the Stanton Cemetery. Visitation will be Tuesday, January 22, 2019 from 11:00 AM to 1:00 PM at First Baptist Church in Stanton. Memorial Contributions, in memory of Judy, may be given to Emmaus Homes, 3731 Mueller Rd., St. Charles, MO 63301 or online at www.emmaushomes.org. Friends may send online condolences to Judy’s family at www.eatonfuneralhome.com. To send flowers or a remembrance gift to the family of Judy Ann Beers, please visit our Tribute Store. "Email Address" would like to share the life celebration of Judy Ann Beers. Click on the "link" to go to share a favorite memory or leave a condolence message for the family.